We all yearn to feel wanted. Many of us receive that message from family, friends, work, and organizations—spiritual and otherwise. Some, though, only experience that sense in the form of WANTED posters that hang in post offices and courthouses or show up on Crime Stoppers websites. 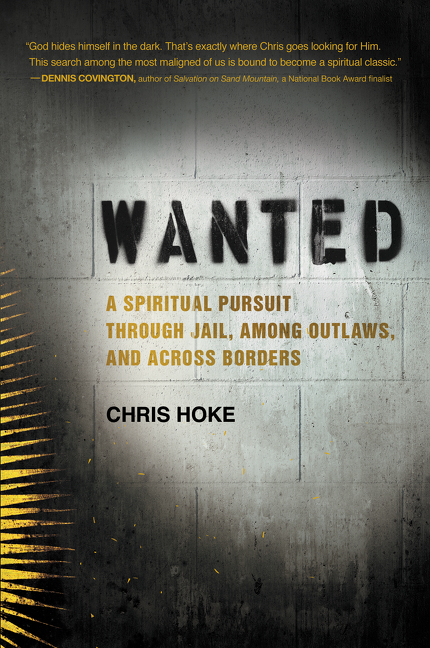 And those are the people whose stories Chris Hoke tells in his first book, WANTED – A Spiritual Pursuit Through Jails, Among Outlaws, and Across Borders. 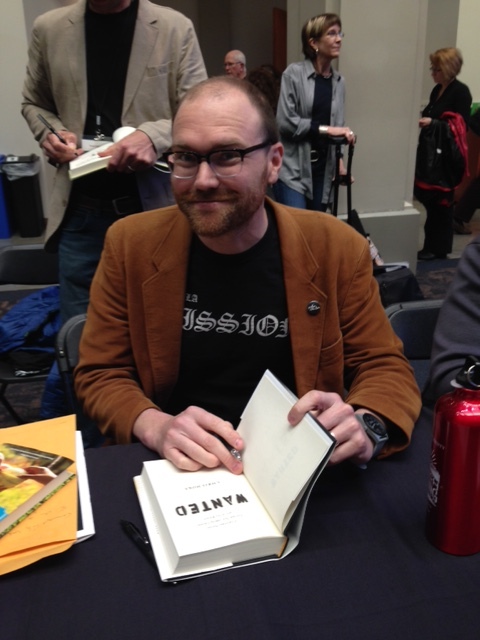 I met Chris in February at the Search for Meaning Book Festival at Seattle University. He’s part of Tierra Nueva (New Earth), a Christian ministry based in Burlington, Washington, that serves “people on the margins (immigrants, inmates, ex-offenders, the homeless) and mainstream people.” His book had come out just three weeks earlier, and, just as he did in his writing, he spoke only a little about himself and much more about the men he works with as a gang pastor, jail chaplain, and co-founder of Underground Coffee. Someone called the cops on Ricardo Mejia as soon as he was born. As soon as his fifteen-year-old mother had finished ridding him from her body, she slipped out of the Skagit Valley Hospital and left him there. When the nurse came in and saw the squirming newborn on his own in the clear plastic bin, she made no move to pick him up or cradle him. Instead, she picked up the phone and called the police. Throughout the book, Chris reveals the story of the unlikely friendship that developed between him and Richard and of how they taught and learned from each other. In other chapters, Chris writes about many other men and of their gangs and crimes and of a world that I can’t imagine. The mini-lessons from bible studies Chris and inmates led put me back in touch with the teachings of Jesus and his example of love for the unwanted in the world. Chris’s stories make me think of my own reactions—compassion, often mixed with anger and frustration—toward the women I used to visit as a public health nurse. Some of them were the wives, girlfriends, sisters, or daughters of men like those Chris works with. I realized as I read Chris’s book how little I understood of their lives and of the broken systems that pushed them toward all the wrong places in search of feeling wanted. 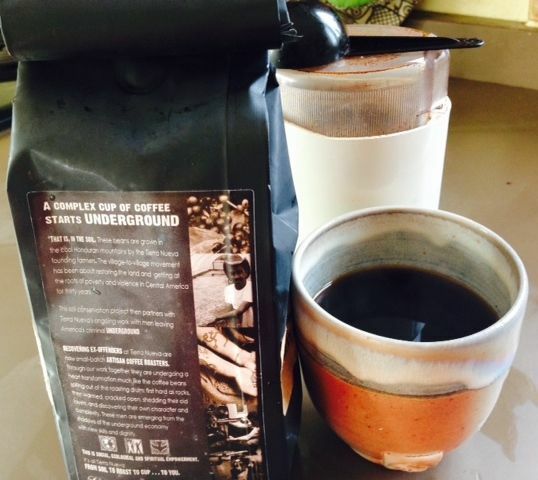 A package of Underground Coffee fresh-roasted beans arrived at my door the other day. As I sip a cup of the rich brew, I reflect on a leading I’ve felt for a while to work with women in prison. I have a lot to learn about how to do that, but Chris’s experience reminds me of one essential skill—listening—which we Quakers feel easier with than many people. I don’t know if the way will open for me to put that to use in a prison, but Chris’s stories about Richard Mejia and the other men he serves as pastor show me the power of listening for that of God in everyone. Thank you, Mickey. Yes, I’m paying attention to meeting Chris and reading his book. Very strong piece, Iris. Very interesting your thinking about working with women in prison in some way. I have been struggling for years about what to do with my life. Still haven’t really heard the answer or gotten a push in any particular direction. Right now, I think hanging on is enough. Hanging on is important, Lorna. Keep listening! As you know, I’ve felt distress several times when I lacked clarity about work (http://www.friendsjournal.org/seeking-clearness/). The Quaker “clearness process” has helped immensely – being asked to describe what I’m seeking clarity about and then being held by friends who ask questions that only I can answer has worked well for me.